Welcome To Clark Bartram.com - News - Clark Lands ANOTHER Cover! At 48 Clark shows no signs of slowing down as he fronts yet another cover making this easily well over 100 over the last twenty-five years. 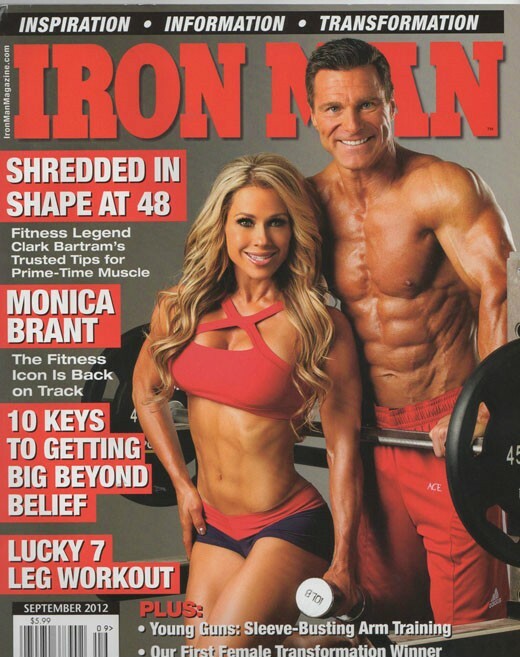 He and fitness superstar Monica Brant appear on the September issue of IronMan magazine and it's already flying off the shelves. The combination of these two fitness icons was genius as the fan base of both Monica and Clark are grabbing these issues up as fast as they hit the shelves. Monica, 41 is also burning up the track as she is competing in "Over 40" track & field competitions, she currently is #1 in the Nation in the 400 meters running a time that nearly equals her high school marks. Age doesn't seem to be effecting either of these fitness enthusiasts as they both remain active both on and off fitness magazine covers. 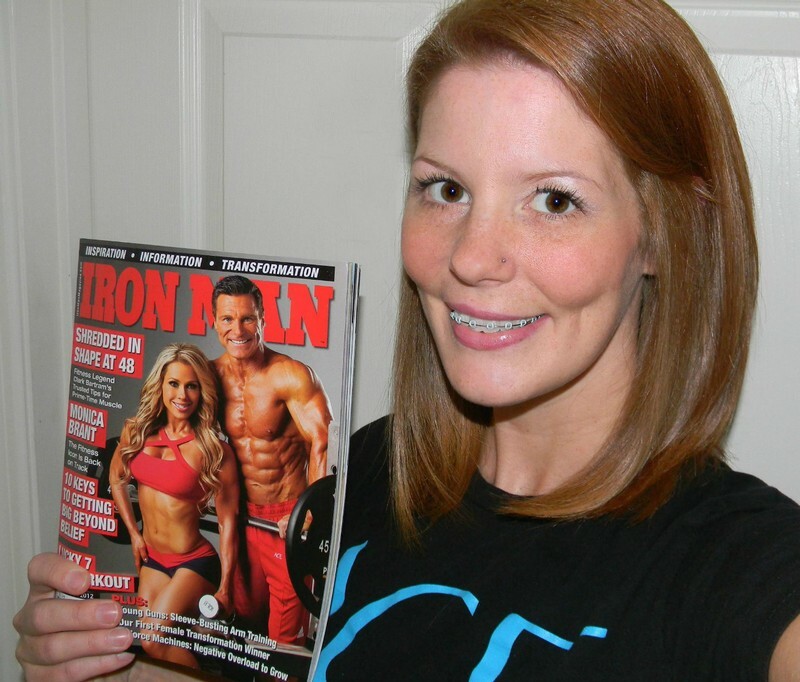 Be sure to go out and support Mo and Clark by purchasing your copy of IronMan today.